Dave and I recently watched the movie Risen. My husband is a pastor and my son is a film-maker so I tend to be pretty hard on “Christian” movies, but this one was amazing. We loved it. It’s a story about a Roman soldier who was there when Jesus died. He was then responsible for making sure the tomb was sealed so no one could steal the body. And once the body was gone, he was given the job of finding the body so they could prove Jesus was really dead. In the process of searching for the body of Jesus, the Roman soldier found Him…. but He wasn’t dead. He was alive. My favorite part of the movie is the way they portrayed the disciples. 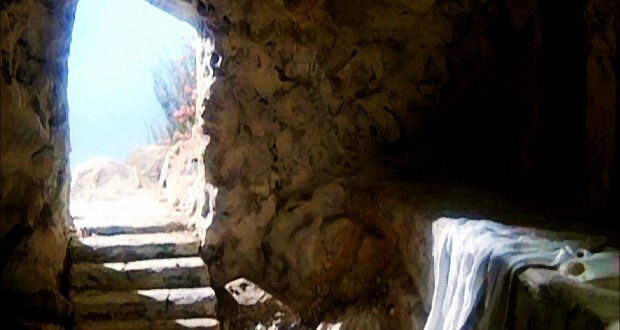 We don’t see them until after they have seen Jesus risen from the dead, so we don’t see the fear and confusion and loss they went through when Jesus was crucified. All we see is the joy and confidence and love and peace that overflows from their lives once they know He rose from the dead! He was alive! They had seen Him! And that changed everything for them. And it changed everything for us. Peter expressed it this way to another group of new believers. If you truly believe that Jesus rose from the dead, that fact should change everything about who you are and what your life is all about. I’m intentionally trying to remind myself of that every day. As you walk through your days in this fallen world, may joy and confidence and love and peace overflow out of your life onto all who cross your path. And may you be prepared to share the amazing story of Jesus’ life, death, and resurrection when they ask the reason for the hope you have within you.